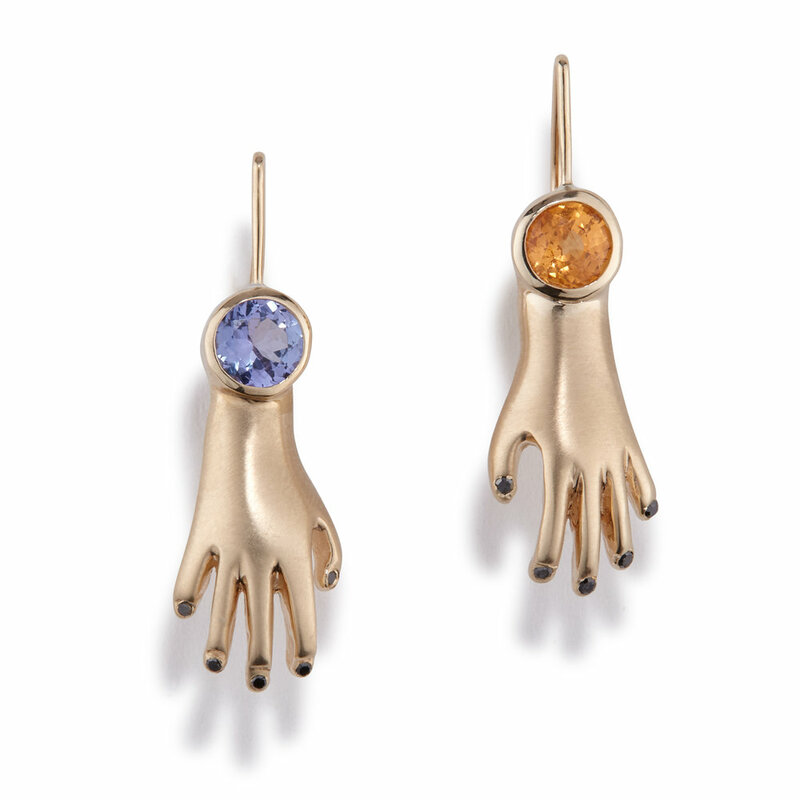 3.48 dwt 10 karat mercury-free yellow gold hand earrings. 5mm spessartine and tanzanite stones. black diamond nails.